Cheap webcams with Wifi, what could possibly go wrong? It's an ESP32 board with a camera, running a web server, so it acts as an inexpensive webcam. 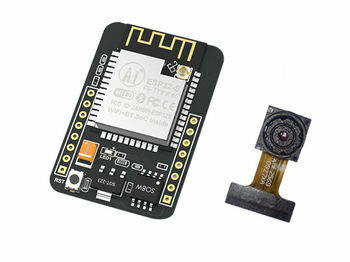 To install the camera, *flip* the black part of the camera connector UP, insert the camera connector (contacts towards the PCB), then flip the black part back into the flat position. ESP-32 IO0 looped to ESP-32 GND (they are next to each other), you can use a jumper or a dupont wire. CLOSED for flashing, OPEN for running.